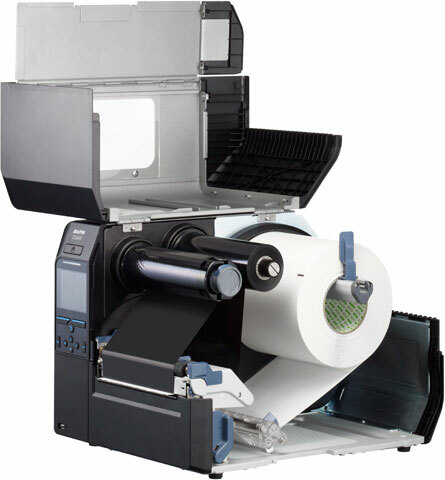 The new CL6NX offers a vast array of standard features that are unequalled by its competition of 6" wide label printers. 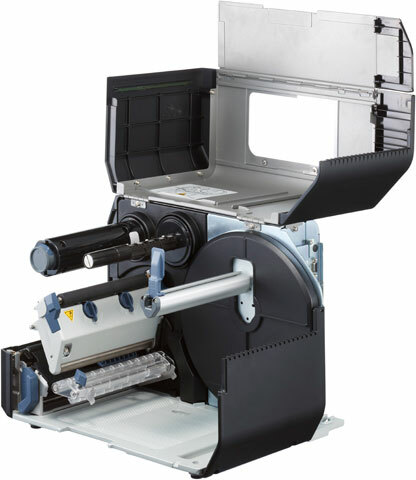 Printer setups, operation and maintenance are supremely easy and intuitive. 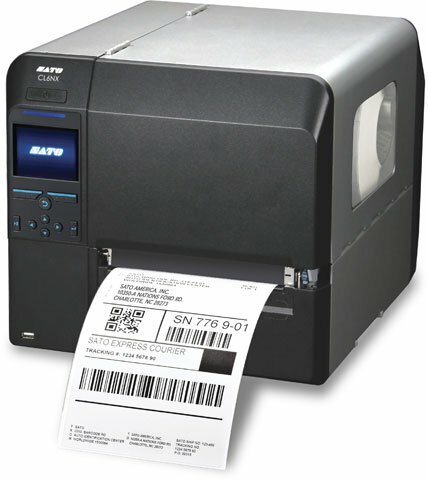 It's Sato's first truly universal Industrial Label Printer engineered for the most demanding printing applications. CL6NX, Thermal transfer, 6.5" print width, 203 dpi, Parallel/Serial/USB/Bluetooth/Ethernet Interfaces. CL6NX - Thermal transfer, 6.5" print width, 305 dpi, Parallel/Serial/USB/Bluetooth/Ethernet Interfaces. 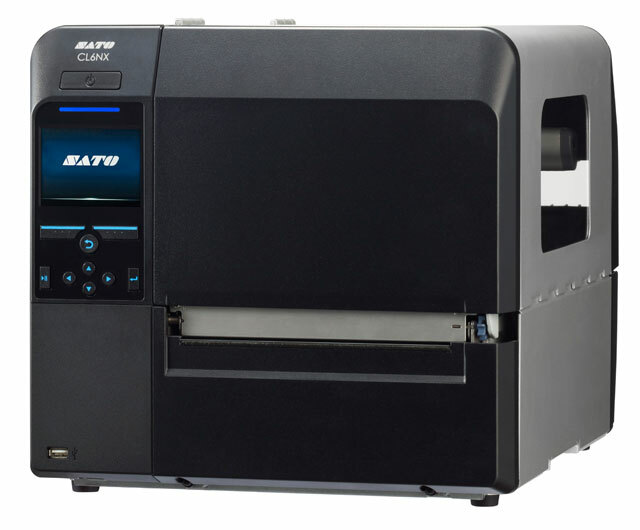 CL6NX - Thermal transfer, 6.5" print width, 305 dpi, Parallel/Serial/USB/Bluetooth/Ethernet Interfaces, Cutter. CL6NX - Thermal transfer, 6.5" print width, 305 dpi, Wi-Fi/Parallel/Serial/USB/Bluetooth/Ethernet Interfaces, Real-time clock, Cutter. CL6NX - Thermal transfer, 6.5" print width, 305 dpi, Parallel/Serial/USB/Bluetooth/Ethernet Interfaces, Real-time clock, Cutter. CL6NX - Thermal transfer, 6.5" print width, 305 dpi, Wi-Fi/Parallel/Serial/USB/Bluetooth/Ethernet Interfaces, Real-time clock. CL6NX - Thermal transfer, 6.5" print width, 305 dpi, Parallel/Serial/USB/Bluetooth/Ethernet Interfaces, Real-time clock. CL6NX - Thermal transfer, 6.5" print width, 203 dpi, Wi-Fi/Parallel/Serial/USB/Bluetooth/Ethernet Interfaces, Real-time clock, Cutter. CL6NX - Thermal transfer, 6.5" print width, 203 dpi, Parallel/Serial/USB/Bluetooth/Ethernet Interfaces, Real-time clock, Cutter. CL6NX - Thermal transfer, 6.5" print width, 203 dpi, Wi-Fi/Parallel/Serial/USB/Bluetooth/Ethernet Interfaces, Real-time clock. CL6NX - Thermal transfer, 6.5" print width, 203 dpi, Parallel/Serial/USB/Bluetooth/Ethernet Interfaces, Real-time clock. CL6NX - Thermal transfer, 6.5" print width, 305 dpi, Wi-Fi/Parallel/Serial/USB/Bluetooth/Ethernet Interfaces, Real-time clock, Dispenser. CL6NX - Thermal transfer, 6.5" print width, 305 dpi, Parallel/Serial/USB/Bluetooth/Ethernet Interfaces, Real-time clock, Dispenser. CL6NX - CL608NX Extended Warranty without Printhead Coverage.